I’m writing this on Valentine’s Day. I look back to two years ago, at Valentine’s Day 2016, and I am astonished. Astonished at the difference in the way Twinklebear and I feel about each other, and the whole Twin Flame journey thing. 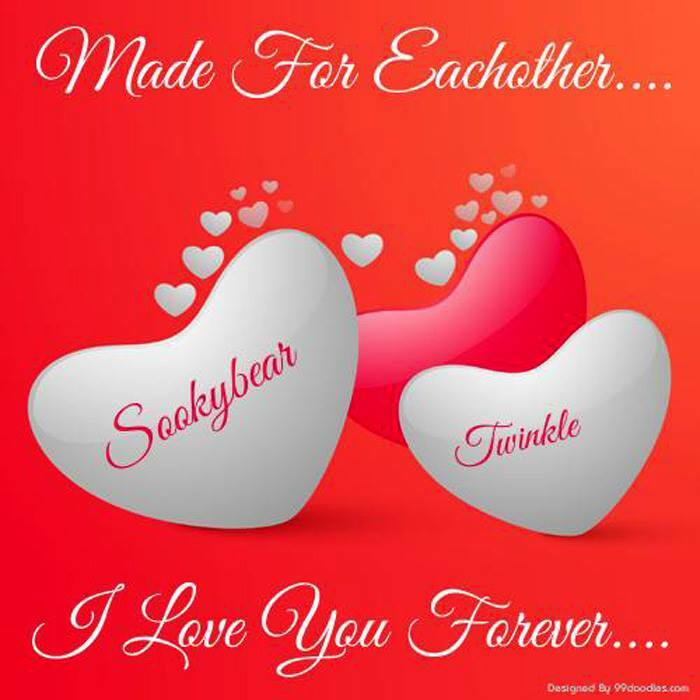 “Twinklebear” is my Twin Flame soulmate, Lesley Maclean. Actually, at that point two years ago, we had no earthly idea what “Twin Flames” meant—which would be appropriate, since the Twin Flame relationship is so deeply rooted in the spiritual realm. We just knew in February of 2016, how very much we loved each other, and needed each other, every single day. Interestingly, it would be months down the road from then, until we could utter “I love you” to each other. We both felt this overwhelming groundswell of intense love for the other, but we could not define it precisely enough, to be able to describe it properly. We just knew….that it was there. How we are finally regaining our equilibium. We’ve got it now! We have our footing again, with our floaty feet on the ground! We are no long fighting for purchase, with our flailing feet yards off of terra firma. We now know what we are. As time progressed in the last two years for Twinklebear and myself, it seemed like some of the iron-like tendrils that attached us each to the normal outside world loosened—allowing us to become accustomed to the Extreme World of Twin Flame Love. We have finally realized that we are Twin Flame spouses, who have a history as loving spouses in other lifetimes. Moreover, we accept our fate now, as Twin Flames, who are destined to love and need each other, and to be together for all eternity. Our minds have adjusted to this reality. In other words, Twinklebear and I are like…. Water that seeks it’s own level. —–a state of physical balance. —–a calm state of mind. It is difficult to convey to outsiders, the sense of calm that Twinklebear and I have gained—or why. I believe that it is just part of the process, the human changes that Twin Flames universally go through, as we try to grasp exactly what we are dealing with, as Twin Flames. The Twin Flames journey is so on the extreme fringes of human experience, bordering on and intruding into the spiritual realm—that making sense of it is an arduous task. Its is like having one foot in the steaming hot temperatures of Florida, and the other foot firmly set in the arctic freezing weather of Alaska. In many ways, it is a neurotic existence. What Twinklebear and I have achieved over the past two years, is to reconcile being in two worlds, and to be increasingly more comfortable as time goes on with our Twin Flame status—with all that entails. So, what we have done in essence, is to make our existence as Twin Flames, less neurotic, and more “normalized.” We have attained that “calm state of mind” that represents “equilibrium.” With that mind…. HAPPY VALENTINE’S DAY, AC TWINKLEBEAR LESLEY MACLEAN! So wonderfully written my sookybear, I love you always. It is so nice to actually find our ( equilibrium) now that we know our true course it amazing, to actually relax about it. Well kind of. Happy valentine’s Day my sookybear, always. Bearpact 🐻 podmates Twinflames forever and a day. A brilliant memoir. Thanks so much.